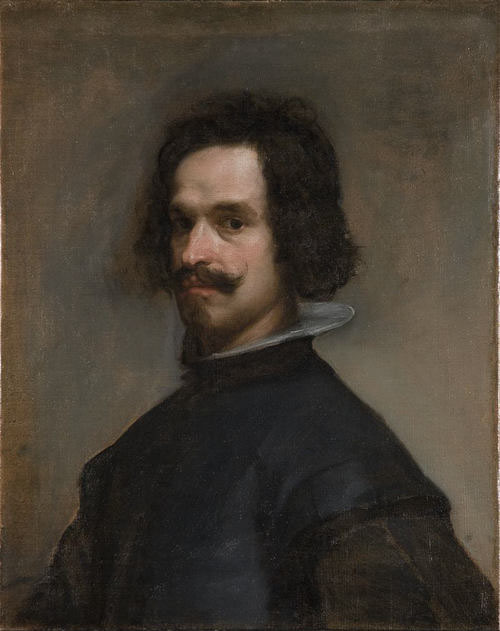 I was excited to learn of, and especially to see, the spectacular results the recent cleaning of a Spanish 17th-century portrait at the Metropolitan Museum have yielded. 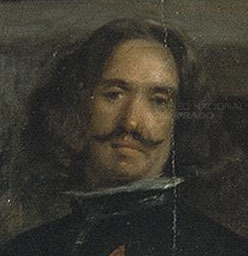 Hidden under a thick, dull varnish for ages, the picture has long been taken to be by a follower of Velázquez, but has now been upgraded to fully autograph status. I’ve only seen the images published with the press release, but it looks entirely kosher to me. It’s a beautiful picture — a young, confident man looking at us with a sense of superiority, but also a hint of vulnerability, scruffy hair and a hint of pink in his complexion. It is a rapidly executed study, probably from life, perhaps made for inclusion in the famous Surrender of Breda in the Prado (1634-1635), in which what is surely the same man appears at the far right edge, looking out at us as our representative on the scene. As mentioned in the press release, this prompts speculation that it is a self-portrait by the artist. Not impossible — could this be the same man who, some twenty-two years later, would look out beyond us, at his own creation, in Las Meninas? I shall certainly be looking forward to visiting New York next — this picture seems to bear comparison with the astonishing Portrait of Juan de Pareja (1650) in the same museum; I can’t wait to find out for myself.